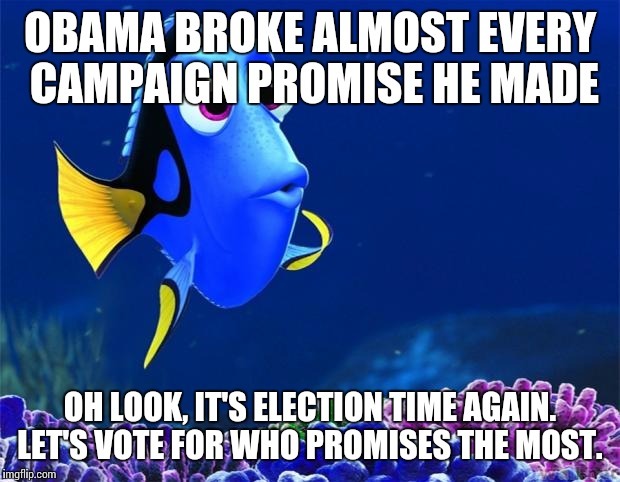 Common Sense Applied to Campaign Promises. Are We On the Same Planet? In the twentieth century, campaign slogans and campaign promises were much more simple than those of today. In the 1900 presidential election, William McKinley used the slogan, ‘Four more years of the full dinner pail.’ How many millennials would even know what a dinner pail is? In 1916, Woodrow Wilson’s big slogan was, ‘War in the east, peace in the west, thank God for Woodrow Wilson.’ Well, this slogan is interesting for two reasons: firstly, the US got involved with WWI one year later, and secondly, who today would include God in their campaign slogan? The most famous campaign promise/slogan was used by Herbert Hoover in his 1928 election. His famous slogan? ‘A chicken in every pot and a car in every garage.’ Now common sense would easily indicate that the Federal Government was not going to buy everyone a chicken and a car. The gist of that slogan was that America would be so prosperous that everyone would be able to afford food and a car. It was still an era of self-sufficiency and independence in the US. Well, like Wilson entering WWI, Hoover got thrown for a loop because of the stock market crash of 1929, less than a year after he took the oath of office. Now we get to some of the more recent campaign issues and promises. But, just like the TV commercial, there is more. There are also state corporate taxes. Would you like to guess which state has the highest corporate tax rate? New York? California? New Jersey? All good guesses but the state with the highest corporate tax rate at 12% is……………..Iowa! Yup, those Hawkeyes finally got to be #1 at something. Four states levy a maximum state corporate tax rate higher than 9%. Those states are Pennsylvania (9.99%), District of Columbia (9.4%), Minnesota (9.84%) and Alaska (9.4%) Ohio, Texas and Washington forego state corporate taxes but instead impose gross receipt taxes on businesses. Nevada, South Dakota and Wyoming levy neither corporate income nor gross receipts taxes. All the other states have a maximum corporate tax rate. Here is an example of why US corporations are moving their headquarters and facilities out of the US. Medtronic is located in Minnesota. They make sophisticated medical devices. Let us imagine that Medtronic makes $100 million profit in a year. According to our present taxing structure, they would pay $39 million to the federal government and almost $10 to the state of Minnesota. In round numbers, they pay $49 million in taxes and get to keep $51 million of their profit. But wait….Medtronic is moving their entire operation to Ireland. Why? The new corporate tax rate is going to be 18%, with no state corporate taxes. Under this scenario, they pay $18 million in taxes to Ireland and get to keep $82 million of their $100 million profit. And Hillary Clinton wants to tax corporations more? Let us take this one step further. Do you know what percentage of federal tax receipts are attributable to corporations and what percentage are attributable to individual income taxes? Here is a simplified breakdown of where the federal government gets its money: Social insurance (payroll) taxes are 33.9%, excise taxes are 3.1%, Miscellaneous taxes account for 6.3%, corporate income taxes account for 10.6%, and individual income taxes account for a whooping 46.2% of federal tax revenue. Would it be common sense to lower corporate tax rates to keep more companies within the United States, thereby creating more jobs? If we would cut the corporate tax rate in half, would we not create more jobs? Jobs that would provide more federal income to make up and exceed the difference in lost corporate taxes? How about that campaign promise of free college for everyone. OK all you college bound students, who will ultimately pay for your education? That would be all of us, even though there are other ways to pay for school. I know this is out of vogue, but you could begin working part-time jobs and start saving money. I had one year of college paid for before I started. There are scholarships and grants. There are, heaven forbid, jobs to do while in college. I did that as well and graduated without a college debt. You could go into the military and gain use of the GI bill. Viet Nam prompted my generation to make early life decisions, but until you know what you exactly want to do, why waste your money and flounder in college. A little maturity goes a long way when it comes to life decisions. In 2013, the average cost of tuition and fees in private colleges was $32,405. In state resident public schools, tuition and fees averaged $9,410. For out of state residents attending a public college, the tuition and fees averaged $23,893. None of these costs include living expenses. This year, there will be 21 million students attending college. If the government were to pick up the tab at an average of $20,000 per student, that would cost, if my math is correct, $420 billion a year. That would be almost 15% of our $3 trillion annual budget. It would match our defense budget. Oh, don’t forget, our federal deficit is almost $20 trillion and we are expecting a $600 billion shortfall for the 2016 budget. So, do you members of the ‘give me a trophy for participating’ generation and the ‘I can’t work, I’m going on spring break’ generation really think the government should pay for your school? We will build a wall. How many times have we heard that recently? I am neither a proponent or an opponent of this particular campaign promise. But, having said that I would like to ask a question, “Would you get on an airplane without seeing everyone going through security?” Not in today’s environment. The same procedures apply if you want to board a cruise ship. Your bags are taken and examined as well as your carry-on baggage. So if we would not board a plane or a ship without going through stringent security, why would we oppose stopping illegal aliens and drugs from entering this country. I have no problem with work permits or temporary visas, but everyone needs to be vetted. I would hope some smart people could come up with a quick efficient way of granting work permits and temporary visas. There are many more campaign promises and slogans circulating during this election year. I just selected some of the juicier ones for review in this blog. The next time a candidate comes up with something that smells a little fishy, all in the hopes of buying votes, do a little research. I am sure your computers work just fine. This entry was posted in Common Sense, Common Sense Solutions, Growing Up in America 65 Years Ago, Political Insight, Political Opinion and tagged A chicken in every pot, baby boomers, budget resolution, campaign promises, Campaign slogans, Donald Trump, FDR "new Deal", fiscal cliff, free college tuition, Great Depression, Herbert Hoover, Hillary Clinton, Mitt Romney, raising corporate taxes, raising taxes on the wealthy on August 21, 2016 by Grandpa T.
Psychpathic tendencies. Who would have thunk??? Just about the time it appears that there is nothing to write about, (the Democratic National Convention is just too big a target) someone posts something that is just too juicy to overlook. So, as I am taking a break from politics, I am going to write about the seven occupations that contain the most people that exhibit psychopathic tendencies. Before going any further, it needs to be determined as to what psychopathic tendencies really entail, as it is estimated that 5% of the American population displays these traits. According to my research, a typical person displaying psychopathic tendencies has a lack of empathy, lack of guilt, stress tolerance, manipulative behavior, egocentricity, impulsivity, but usually possesses plenty of charm. Do not get this confused with psychotic traits. 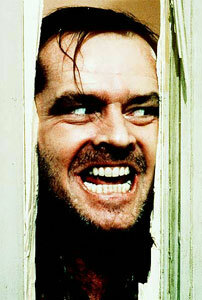 The synonyms for psychotic behavior are insanity, madness, derangement, demented behavior and craziness. There is a difference. The total loonies come from the psychotic side of the fence, without any redeeming qualities. Remember, we are talking psychopathic tendencies (sharing some of the traits), not someone clinically determined to be totally psychopathic. So, beginning with number seven working our way to number one in the occupations displaying the most people with psychopathic tendencies. Here we go! When I first saw this list, I would have estimated that the police would have been rated a little higher. But it does make perfect sense that they are at number seven, because the police see the worst that our society provides every day. They see the gruesome traffic accidents. They see the grisly crime scenes. They answer the calls for domestic violence. Every day they make decisions that have to be fair and, more importantly, impartial. In retrospect, they need some psychopathic traits in order to be good policemen. It takes a person with lack of empathy to give a speeding ticket to mom or nana. I am sure that scenario has been played out, usually resulting in a chilly reception at nana’s Thanksgiving dinner. Who would have guessed this? Here is a simple question: Do you trust journalism in its present state? If you said yes, you would be in the clear minority as over 70% do not trust any of the media. Could it be because of a lack of guilt widespread in the newsprint establishment? With the national elections taking place this year, I am amazed as to how each presidential candidate is being skewered by biased journalism. Journalism that does not seem to care about reporting anything that approaches the truth. There have been many times when what was reported about a speech, liberally sprinkled with biased reporting, was nowhere near what was actually said during that speech. In retrospect, it appears journalists should have been rated higher. Before this surgery, I was paralyzed from the neck down. I did become Dr. A.’s masterpiece and have lived a full life ever since. I am personally happy that he had psychopathic tendencies. After all, nurses are the antithesis of surgeons and they will give you all the empathy you want. The yin and the yang of the medical profession. Much like the police, a really good salesperson needs some of the psychopathic traits. After all, many salesmen are on some kind of commission/bonus structure that does place them in the position of having to ‘eat what you kill.’ If they don’t sell, they don’t eat. Many salespeople provide very good service or provide information. When I was in business, I looked forward to visits from salespeople as they would inform/educate me about new products or services. Many of these products/services would improve my business, thereby increasing my profitability. Who would have thought that different aspects of the media would take two of the top seven occupations displaying psychopathic tendencies? What a ringing endorsement for the fact that people just do not trust the media, regardless of what type of media. There are no shortage of political ads on the TV. Does anyone believe that each and every one of these ads, especially the ads attacking a competitor are ever scrutinized for accuracy? Of course not. But yet, many believe everything they see on the TV or hear on the radio, regardless of the facts. It never was like this decades ago. The media took pride in accurate reporting and the public had a much higher degree of acceptance. An inaccurate report was always scrutinized. Now, inaccurate/biased reporting is so widespread that the public has become complacent to the point of it becoming acceptable. Lack of empathy. Lack of guilt. Does any of this sound like any attorney you may know? I know accused people are entitled to legal representation, but I have often wondered how someone could defend a murderer that they know is definitely, without question, guilty. I know that my personality composition would not allow me to do that with a clear conscience. “Your honor, I know my client is guilty as hell, and I recommend that he be fried in an electric chair connected to a nuclear reactor.” Having said that, I would not make a good public defender. But just like the TV commercial, “But wait, there’s more!” The majority of our federal representatives are attorneys, far outweighing any other occupation. I believe about 43%, if memory serves me correctly. Why is that? Maybe they were terrible attorneys and chose another avenue to fame, power and wealth. (egocentricity? lack of guilt?) But as we are well aware, they all rather possess that desirable trait of having plenty of charm. About half of the people that graduate from law school end up in a profession other than law. Each year, law schools graduate double the number of lawyers than what is needed in the US. Parents may want to remember this before sending your student to an expensive law school. Drum roll please! Here again, to be a CEO for a large corporation, a few psychopathic traits would be helpful. Do we expand or contract? Where do we target for market penetration? Where do we build our next facility? Who stays, and who goes? Many, many decisions that most people are not aware of and will never experience. Being a CEO is not for the weak or timid. I owned my own small company so in effect I was a CEO. I was placed in some very uncomfortable positions where I needed to make a decision, even though I really did not want to. I had to do what was right for the company, what was right for my employees/subcontractors and suppliers, what was best for my clients, and finally, what was right for me. Unless you have been in business, you will never experience many of the things that business owners experience. There were times when I paid the employees at the expense of me not getting a check for months. I had to lay off or fire people I liked personally. Many of these people were great employees, but we ran out of work. I had to fire a person that was stealing from the company. By nature, I do not possess a lack of empathy, but I was put in a position where I had no choice. There you have it. Something other than politics and hopefully informative and entertaining. But really, as you were reading this did any names come to mind about having psychopathic tendencies or traits? I know I did. The first name for me? Ted Cruz. The second name for me? Hillary Clinton. Others? Marco Rubio and Donald Trump. But I want to point out one item…it is not necessarily a bad thing to have these traits. Many of these professions are much more efficient and effective if they possess some of these traits, just not all of them. It is only those who wrap these traits around personal gain, conceit, and selfishness that truly transforms psychopathic behavior into a true psychopath. Oh. The seven occupations displaying the least amount of psychopathic tendencies? From one to seven: care aide, nurse, therapist, craftperson, beautician/stylist, charity worker and teacher. This entry was posted in Common Sense, Common Sense Solutions, Growing Up in America 65 Years Ago, Political Opinion, Politics and tagged Donald Trump, Hillary Clinton, psychopathic tendencies, psychopathic traits. occupations with the most psychopathic tendencies, Ted Cruz on August 11, 2016 by Grandpa T.